Last week we found ourselves with some unseasonably (for central North Carolina) wintry weather. With a few Christmas-centric gigs coming up, I already had a little tug on my heart to write something new and seasonal, and the snow somehow settled my body long enough to make that happen. I thought about the winter -- how cold, dark, hopeless it can seem -- and wondered what it must be like to hold that Divine Light in tiny baby form, that child who might bring hope to the nations. Thus, "Hush, Hush" was born. Accompanied by my harmonically-lovely sister, Shelby. Merry Christmas, friends! I'm extremely honored to have been featured in YES! Weekly, in an article written by the wonderful John Adamian. Below is an excerpt, but you can go read the whole piece about yours truly and some other wonderful local lady talents right here: Making It Ourselves. Over the last few months, I've apparently developed a knack for digging up pictures of Preschool Carrie, whether on vacation or in her usual habitat (proudly standing with a bag full of candy), and turning them into promotional material. There is some perfect mixture of beauty and awkwardness in this youngin' that cannot be denied. Odd as they are, I'm pretty proud of these little creations and wanted to hang on to them for a while. So, here they are. Enjoy! OK, I can't take credit for this hipster face. It's my mom, y'all! Also can't take credit for this one. That's Violet Beauregarde, y'all! I haven't made a habit of writing about my upcoming gigs, since there is a whole page dedicated to that information... BUT... March is full of such marvelous things, I couldn't help but make a space for them right here! First off, next Saturday, March 19th, Weymouth Woods - Sandhills Nature Preserve is hosting one of the many state-wide Centennial Celebrations for North Carolina State Parks, and I am beyond thrilled to be taking part in this event. From 10am - 3pm, the event will feature live music (with yours truly on from 11 - 11:45), as well as nature hikes, birdhouse-building, local craft vendors, face-painting, free longleaf pine tree seeds, raffles, critters, a chainsaw carving demonstration (yeah, you heard me), and much more. So much good stuff, right here in our backyard. Oh -- and birthday-cake-eatin' for THE oldest living longleaf pine tree in the world. Happy 468th, ol' gal! My sweet songbird friends, Abigail Dowd, Laura Jane Vincent and Rich and Linda Angstreich, will be adding some theme music to this delightful event, so I hope you can come out and celebrate our great state with us! It would simply be wrong to miss the opportunity while in Pinehurst to play at The Drum and Quill Public House. 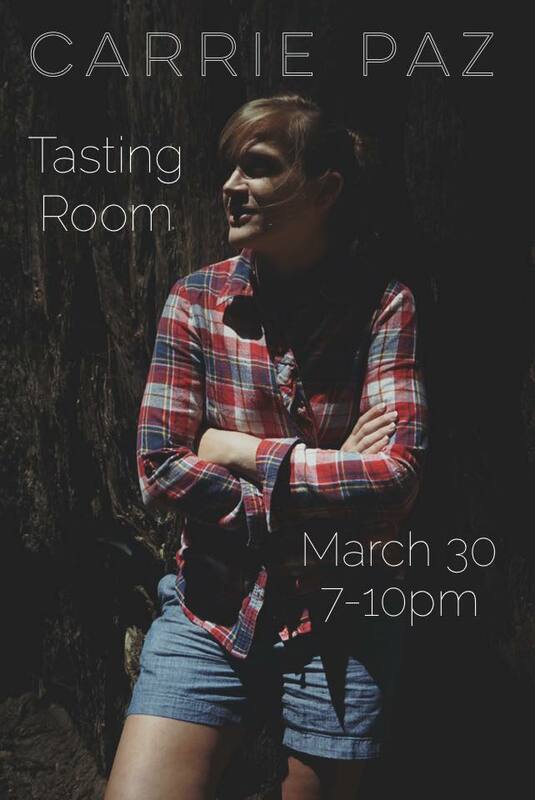 I'll be sharing the evening (Saturday, March 19) with the above-mentioned friend and fellow songstress, Abigail Dowd, whose sultry alto tones will have you asking for another round. We'll be playing from 5:30 - 8:30pm. So as you can see, while March is sometimes known to be a fickle month, this year it is being quite sweet and amiable to me. Here's to many more months of good music, good events, and better-than-good friends with which to share them! Remember that auburn-haired little girl whose wedding I had the honor of writing and performing my song, Dive Down Deep, for? Well, the new(ish)lyweds have some news… A BEACH BABE! Since I’ve decided to dedicate myself to producing the soundtrack of Jamie and Taylor's lives, I really could not stop myself from writing a new song for the lil’ stinker. And now I think I have a new favorite genre: the lullaby. Here’s lookin’ at you, kiddo. Little do I even know. Yet how beautiful the sound. I love you... I love you. And in my arms I hold my own. It's difficult to know just what to say about this song. I watched Cyndi Lauper's video at least a couple dozen times when I first started working on it, and some words that come to mind in retrospect are: quirky, hilarious, joyful, TUBULAR. When I first heard Justin's arrangement of it, I was blown away by the depth of what I'd initially thought of as a bubble-gum-pop song. The song itself is fun, of course, but that second verse... It grabbed my soul. So I stole it and ran with it, and it's been one of my favorite pieces to perform ever since. The song also caught the heart of a dear friend of mine. If anyone lived the joy "Girls" conveys, it was Lisa. Her life was a light, and I believe it still is, even though her physical presence is no longer with us. I felt that light shining so warmly and brightly on me when I found out that she wanted this song performed at her "Celebration of Life" service last month, one of the most bittersweet honors of my life. So: Thank you, Lisa. I hope the song continues to remind us to do as you did: to love completely, to pursue peace fearlessly, and -- why not? -- to have fun! "Girls Just Wanna Have Fun" was written by Robert Hazard. Arrangement by Justin J. Morgan. Check out Carrie's Music page for more recordings. Sunday afternoons were simply made for gorgeous vineyard views and delicious locally-sourced vino. Spend yours with me in the heart of North Carolina's beautiful Yadkin Valley as I play a few soothing tunes, framed by the perfect Blue Ridge Mountain landscape. It's always a pleasure to hear Matty Sheets and Angelina Rodriguez on WUAG 103.1 FM's Thursday night show, Gate City Port Authority, and even more fun to join them. They've been gracious enough to have me on the show a few times, and last time I was there, the master cameraman Cameron Hetteen shot this video of my song "Carolina Blues". Unfortunately there is no magic edit button to make larger-than-average nostrils look normal, but what can you do? Hop in and let's drive! This is the busiest week I've seen in a while... But I'm so excited to share with you some posters of the coming weekend's doings. Check out Around Town for more details! It's hard to describe what this song means to me. It was born of a beautiful moment that gave way to a very painful epoch, preceding an event that I could not have possibly foreseen at the time. Despite its scarred history, it remains one of my favorite pieces. For this song was a prophecy. It's almost as if it were sung over me, its words and harmonies unknown to my listening ears, giving me the freedom to let something go that -- like the song -- was both beautiful and painful. The stars will always be this big, beautiful, painful image for me. Did you know, if you were unhindered by manmade light -- if you lay in the bleakest desert in the deepest depth of night -- that your eyes alone, without the help of a telescope, would have before them the view of ten thousand stars? That number astounds, amazes, sometimes petrifies me. The unknown can be alarming. But oh, how beautiful. So, which one are you wishing on tonight? Hear Ten Thousand Stars here. Sitting around on the back porch, strumming the guitar and serenading the cicadas, warm toes on bare feet and a cool beverage at my fingers... This is how I like to celebrate Summer. How about you? Ever consider slipping into some fairy wings and cutting loose? 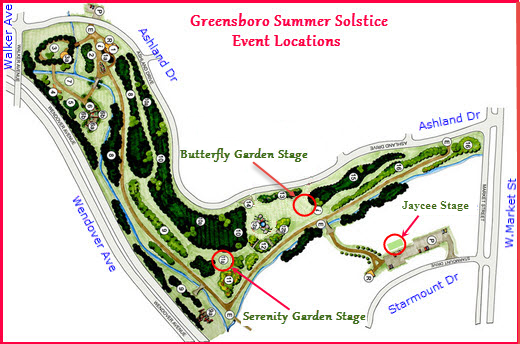 Well, I've decided to give that a shot as I hop back onstage with the folka-rocka-jazza-bluesa-grassa-billy band Southern Moon TONIGHT (Saturday, June 20) at the Greensboro Summer Solstice Festival at the Arboretum! We'll be playing at the Butterfly Garden Stage from 7:15-8pm, but the festival is an all-afternoon (2-10pm), lively event full of music, dancing and all things Summer-ful, including, I am told, a variety of fairies! (You can bet I'll be face-painted and fairy-winged by performance time.) So, if you're looking for a fun way to celebrate the season on this glorious almost-Summer day, I hope you'll join us! *6/8/15 UPDATE: Unfortunately the June 12th show at Common Grounds has been postponed due to double-booking... Please stay tuned! I still can't wait to play with Seeds of Saints! Any Greensboroan who is a coffee-lover like mahself knows Tate Street Coffee House. And any Greensboroan who knows Tate Street Coffee House also knows it's a perfect little college-town spot for budding-musician-coffee-lovers. (Or tea-lovers... I hear the tea cups are big enough to swim in...) I'm extremely grateful to have the opportunity to drink coffee while singing a few songs there this coming Saturday, May 2, from 6-8pm with some other wonderful local singer-songwriters, Taylor Briggs and Colin Cutler. I'll also be hanging out at UNCG's college radio station with Matty Sheets on WUAG 103.1 FM this Thursday evening, April 30, at about 7:45 or so to play a song or two and talk about the Songwriter Showcase, so please tune in if you can! (Not a local? You can listen online!) Be sure to stick around to hear my friend and fellow songwriter Colin Cutler, who will be on air at 8:15. For more information on Saturday's show, check out the FaceBook event page. Hope to see you all there, coffee cup (or tea-pool...) in hand! Well, I've gone and done it. A couple weeks ago at a Southern Moon rehearsal, I picked up the washboard (pronounced: warsh-bored) just for fun. Yep, that thing your great-grammie used to spiff up her dainties... Well, now I've gone and gotten so good at it, I've been promoted in the band from Beginning Shaker to Washboard Wonder, and my greatest disappointment in all this is that I no longer have any excuse for putting off my laundry. Folks love to hear the story of the little auburn-haired girl I despised in third grade who, I should add, didn't waste any good thoughts on me. For whatever reason, our grade-school selves couldn't stand to look at each other, but for whatever much better reason, our hearts clicked like puzzle pieces in the weird world of high school, and we were from then on inseparable. She's the kind of friend you can never talk to for a year, but then if she calls, you just pick up exactly where you left off. Well, in the Spring of 2012, she called to say she was marrying her sweetheart, and did me the greatest honor by asking me to write a song for their wedding, which was to be held on the beach at the Outer Banks of North Carolina. I'm in Jamie and Taylor's debt for that commission, because Dive Down Deep is one of my favorite songs, and will hopefully someday end up in some random Beach Wedding Songbook... (That's what I'm counting on, anyway!) Bottoms up, all you Beach Lovers, and hope you enjoy my new acoustic recording of Dive Down Deep. All in all, a great time was had at Pig Pounder (whose beers, I am told, were awesome), and I'm so thankful for a wonderful turnout for my first time with the 'Mooners. If you were there, thank you for your support! If you were not, thank you in advance for your support as well, 'cause guess what?! This coming Thursday night may be your opportunity to show it! Southern Moon will be shining at the beautiful J.H. 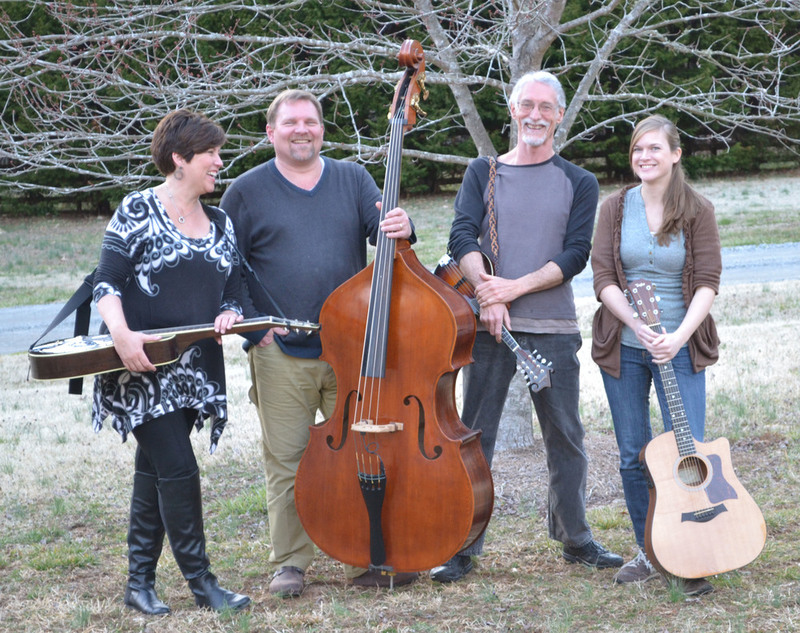 Adams Inn in downtown High Point, NC from 7-10 on March 26. There is no door charge: just delicious food, a gorgeous atmosphere and some great music. Hope to see you there! What do you think of when you hear the words "Southern Moon"? For me, it's summer evenings, crickets chirping, fireflies just starting to glow. It's the sleepy sun, trying his best to spill his rays over the horizon just a little bit longer, but seeing his nighttime counterpart across the way, he bows to her and goes to bed. It's her time. She'll oversee the warm night's doings with a bright eye and a knowing gaze. She spies on the star-crossed lovers' "one last kiss." She feels the breezy little clouds moving calmly through southern skies. She hears the music of night owls with all their hootin' and hollerin', guitars jamming and mandolins doodling, dobros twanging and basses booming. This is Southern Moon, and she likes what she hears. Photography and artwork by Kaitlin Williard. One of my determinations going into 2015 was to perform more. A lot more. And by that I mean not just for my cat. (Let's just say she's kinda over me.) As it happened, around New Years I fell in with a friendly folk band who poured me a glass of pinot noir and handed me a microphone. Needless to say, I stuck around and now enjoy every Sunday afternoon winding down the weekend with new friends and really great rootsy-bluesy-grassy music. It's been a great experience just getting to know these folks and learning so much from them musically, and now I'm happy to announce we're "going out!" I'll be playing with Southern Moon on March 26 and April 18 at High Point's J.H. Adam's Inn. And the next stop? Shakori Hills Grassroots Festival! Yes sir, we're heading for the hills, and I do hope to see some of your friendly faces out there, since my cat will not be able to attend. I haven't had kids yet, but I've been around them enough to know... They are very demanding, inspiring, challenging, wonderful creatures. Imperfect reflections of oneself, revealing both the best and worst parts of you. Turning your nihilist ways around and instilling hope in you for a better future. Giving your work purpose. And keeping you up to ungodly hours of the night so that you're fit for nothing intelligent or useful the next day. I may not have kids, but I have songs. And they've pretty much done all of the above. Lord knows, I've burned more than one pot of beans while trying to make things right for a song. They're my kids... I do my best to be tender with them. Hope you simply enjoy them and maybe, while listening, be reminded of not only a better future, but a better present. Even if it's 3 o'clock in the morning.